Post-communism is the period of political and economic transformation or "transition" in former communist states located in parts of Europe and Asia, in which new governments aimed to create free market-oriented capitalist economies. The policies of most communist parties in both the Eastern and Western Bloc had been governed by the example of the Soviet Union. In most of the countries in the Eastern Bloc, following the fall of communist-led governments in 1989, the communist parties split in two factions: a reformist social democratic party and a new, less reform-oriented communist party. The newly created social democratic parties were generally larger and more powerful than the remaining communist parties; only in Belarus, the Czech Republic, Kazakhstan, Moldova, Russia, Tajikistan, and Ukraine did the communist parties remain a significant force. 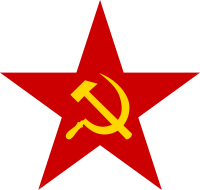 The ex-communist social democrats gained increasing popularity when the transition to capitalism began to cause economic problems such as poverty and unemployment. Nearly all of them won national elections in their respective countries at least once in the past 15 years. In the Western Bloc, many of the self-styled communist political parties reacted by changing their policies to a more moderate and less radical course. In countries such as Italy and Germany, post-communism is marked by the increased influence of their existing social democrats. The anti-Soviet communist parties in the Western Bloc (e.g., the Trotskyist parties), who felt that the fall of the Soviet Union vindicated their views and predictions, did not particularly prosper from it—in fact, some became less radical as well. Several communist states had undergone economic reforms from a planned economy towards a more market-oriented economy in the 1980s. The post-communist economic transition was much more abrupt and aimed at creating fully capitalist economies. All the countries concerned have abandoned the traditional tools of communist economic control, and moved more or less successfully toward free market systems. Although some (including Charles Paul Lewis) stress the beneficial effect of multinational investment, the reforms also had important negative consequences that are still unfolding. Average standards of living registered a catastrophic fall in the early 1990s in many parts of the former Comecon—most notably in the former Soviet Union—and began to rise again only toward the end of the decade. Some populations are still poorer today than they were in 1989 (e.g., Ukraine, Moldova and Serbia). Others have bounced back considerably beyond that threshold however (e.g., Romania, Poland, Hungary and the Czech Republic), and some, such as Slovakia, Estonia, Latvia and Lithuania, underwent an economic boom (see Baltic Tiger), although all have suffered from the 2009 recession. Today, most post-communist countries in Europe are generally seen to have mixed economies, although it is argued that some (such as Romania, Slovakia and Estonia, with their flat tax rates) are actually more capitalist than the Western Bloc. Economic trends associated with post-communism include denationalization, hyperinflation, liberalization, neoliberalism, and privatization. A fundamental challenge in post-communist economies is that institutional pressures that reflect the logic of capitalism and democracy are exerted on organizations (including firms and government agencies) that were created under communism and are, to this day, run by managers socialized in that context, resulting in a great deal of continuing tension in organizations in post-communist states. The term post-fascism has been inspired by this usage and applied to parties that come from Neo-Fascism but moved towards conservative democratic positions. ↑ A summary of the process, containing both economic analysis and anecdotal case studies, can be found in Charles Paul Lewis's How the East Was Won (Palgrave Macmillan, 2005). Dangerous Assumptions in the Bulletin of the Atomic Scientists Daniel Nelson, July/August 2000.